Flaxseed, hemp seeds, chia seeds……oh my! 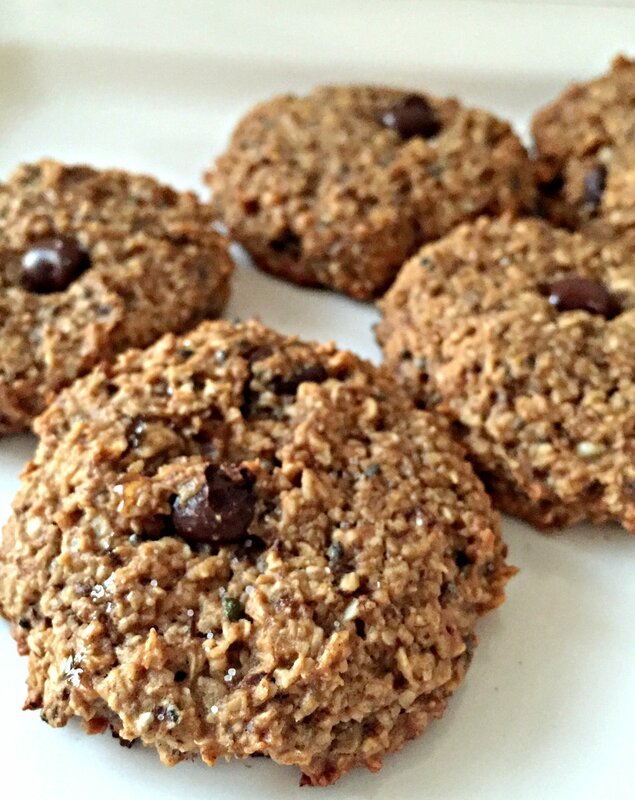 These cookies are loaded with heart-healthy omega 3’s known to to decreased inflammation and cut your risk for stroke and cardiovascular disease. 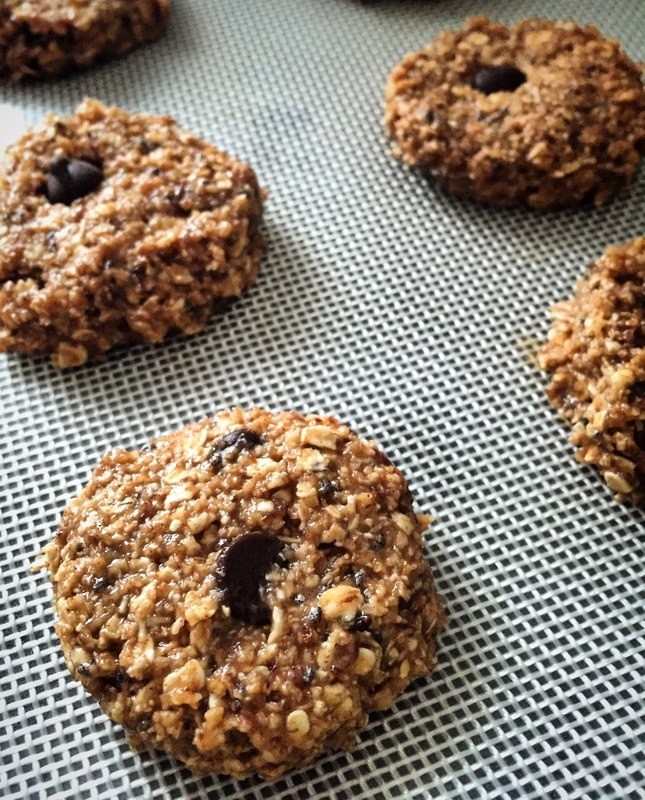 Thanks to the balance of carbohydrates, fat, and protein in these doughy treats of goodness, they are the perfect post workout snack to refuel your body and repair your muscles. Feel free to substitute the peanut butter for any other nut butter of your choice and swap the chocolate chips for other yummy ingredients like dried cranberries, raisins, or dates. Combine flaxseed and water in a small bowl and set aside for 5 minutes or until a gel consistency is formed. Cream peanut butter, applesauce, brown sugar, and vanilla extract in a medium bowl. Add gelled flaxseed, oats, oat bran (or more oats), chia seeds, hemp seeds, baking powder, baking soda, salt, and cinnamon and mix until combined. Stir in chocolate chips and any other mix-ins of choice. Drop cookies in 1 tbsp amounts on a well greased cookie sheet. Bake for 10-12 minutes or until edges are slightly browned. Remove from the oven and transfer cookies to a wire rack until cooled. YUM. Love all the seeds in these! My kids would think these are yummy! They are definitely a favorite in our house, Serena! Hope they are in yours too!